A beauty salon or beauty parlor (beauty parlour) (or sometimes beauty shop) is an establishment dealing with cosmetic treatments for men and women. Other variations of this type of business include hair salons and spas. Massage for the body is a popular beauty treatment, with various techniques offering benefits to the skin (including the application of beauty products) and for increasing mental well-being. Hair removal is offered at some beauty salons through treatments such as waxing and threading. Some beauty salons style hair instead of going to a separate hair salon, and some also offer sun tanning. Other treatments of the face are known as facials. Specialized beauty salons known as nail salons offer treatments such as manicures and pedicures for the nails. A manicure is a treatment for the hands, incorporating the fingernails and cuticles and often involving the application of nail polish, while a pedicure involves treatment of the feet, incorporating the toenails and the softening or removal of calluses. The Regis salon in Fenwick Newcastle is located on the third floor of the historic Fenwick department store on Northumberland Street in Newcastle, less than 100m from Monument metro station. This Regis Hair & Beauty Salon offers a wide range of specialist hair and beauty treatments and stocks a selection of leading hair care products. 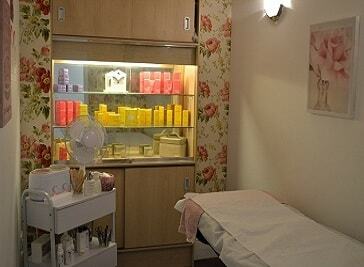 City Retreat is an award winning beauty salon situated in the heart of Newcastle city centre. They pride ourselves in offering the very best beauty and holistic treatments with exceptional customer service. From the moment you step in to their stylish and luxurious salon your worries and cares will start to drift away. Luma’s Hair and Beauty is the newest salon to hit the High Street of Gosforth. They provide an extensive selection of hair and beauty treatments. All of which are carried out by their qualified and experienced hair stylists and beauty technicians. They only use the finest products and thus can ensure you will leave our salon not only looking beautiful but feeling it too. Here at the Newcastle Hair & Beauty Clinic their main focus is providing the very best service for their customers. Their carefully selected and highly skilled staff are able to provide an extensive list of top of the range treatments using some of the most popular products on the market; Decleor, St Tropez, Nouveau Lashes, Crystal Clear, Creative Nails, Universal Contour Wraps and Bio Sculpture Gel just to name a few.